At Parent Heating & Cooling, our main focus is customer satisfaction. We encourage our clients to let us know how they feel about their service, tell us where they were impressed, and if we fell short at all. We use these customer testimonials to improve as a company, find out where our strongest and weakest points are, and how we can become better as a whole. We also hope that hearing from our previous customers about their positive experiences with Parent Heating & Cooling will encourage new ones to give us a try for their heating and air conditioning service needs. There are many ways to create an HVAC services company that is focused on dedicated customer service. The first is to respect your customers’ time. We make it convenient for you to schedule an appointment with one of our technicians, and we’re more than happy to explain the work we’re doing and give you our undivided attention. At the same time, we aim to always arrive on time and remain focused so that we can provide the most efficient service possible. Even while we work, we can explain the steps of what we’re doing so that you feel confident that all measures are being taken to perform the best job possible. Communication between our employees, our management, and our customers is key to reaching the highest levels of satisfaction on all fronts. Our technicians are trained to uniquely solve HVAC problems by coming up with creative solutions that actually work. They are trained not only in the latest of heating and air conditioning service techniques, but also to recognize the value of customer service and customer-driven priorities. In addition, we follow up with all of our clients to ensure that everything is working properly. If you have any issues post service, we will make sure the check them out and resolve them correctly. If you’re curious how this process works, or want to know what it’s like on the customer end of things, we provide customer testimonials to keep you informed on the high level of service. After you’ve used the heating, cooling, and air quality services of Parent Heating & Cooling, we will make sure that billing is easy to complete and provide you with all the proper receipts and paperwork you need for your home or business. There will never be any hidden fees, and we also offer promotions and coupons to make service more affordable. Feel free to leave us a review letting us know how we did on your most recent HVAC service, or check out what others have to say about it by looking over previous testimonials. 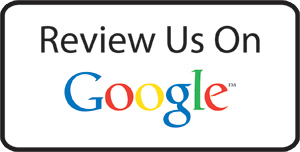 Leave us a review about your HVAC service!